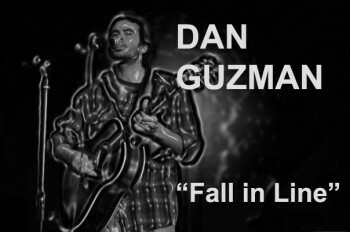 A DAN GUZMAN song about not conforming, even though some day you probably will. Yet you can never have too many songs about not falling in line or at least trying not to. Intentions count for something even though this song visits a place where, “Intentions die like a rose might / in a killing frost on a winter’s night.” Our cities, too, are full of good intentions—or at least fair ones—but finally the buildings dwarf us and channel the rain, and us, into cascading lines. Bursts of jagged guitar ride cool grooves, and, yes, those few seconds of film showing workers marching are from Metropolis. ♦ Go to a list of Dan Guzman’s music on this site. 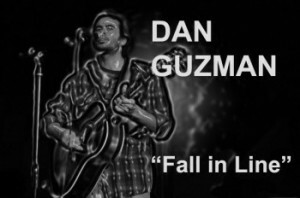 This entry was posted in Music & Media Podcasts and tagged conformity, Dan Guzman, environment, Fall in Line, Songs by Dan Guzman. Bookmark the permalink.